Now it's no secret that myself and my family is a big group of party'ers. We honestly take every chance we have to get together with friends and family for drinks, games, and socializing of any sort. Some could even say a little too frequently (haha) . Life is too short in my eyes to not spend it with those you care about doing the things you enjoy. I have of course my own cure for a hangover as most people do but does it really work...yes to some extent but in reality I think it's all in your head. Then I was recently asked to review something called Never Hungover a few weeks ago and I had to test it out. Thankfully they quickly sent me over several bottles to review. 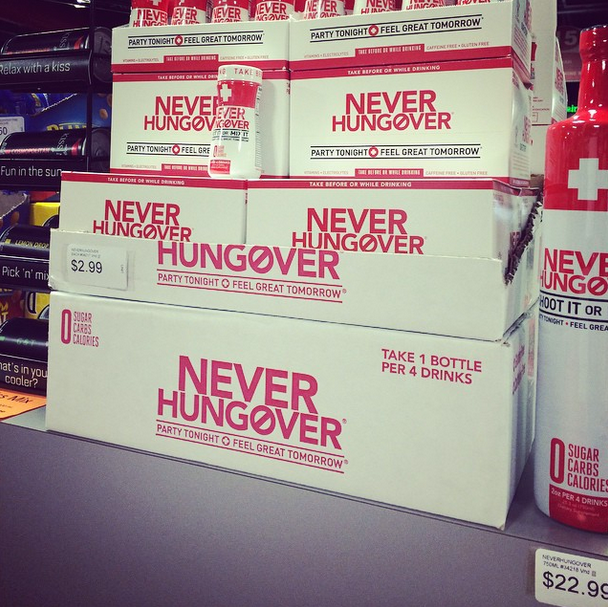 The Never Hungover samples came in a bottle about the same size as the leading energy shot drinks. This is a caffeine free drink that is packed full of vitamins and antioxidants to help re-hydrate you after a night of drinking. Made from a natural vitamin blend, antioxidants, amino acids, nutrients, and minerals, it can be used as a shot or a mixer. 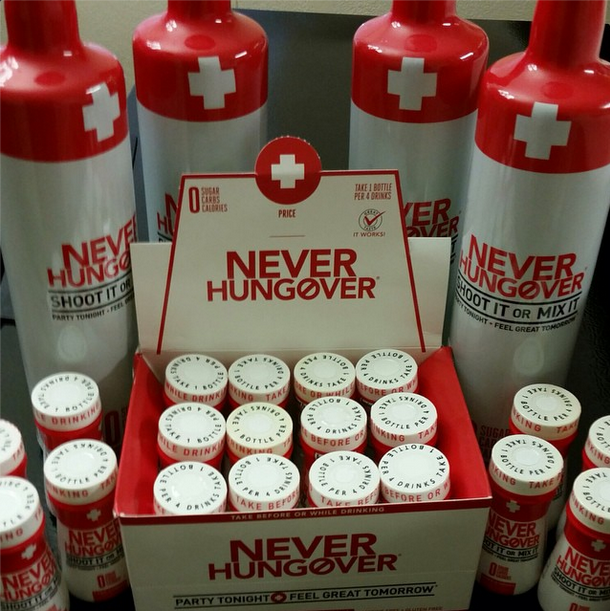 "Helping neutralize and process the toxins caused by alcohol in the liver and kidneys (known as acetaldehyde’s), by turning them into acetic acid which is flushed out of the body", Never Hungover "has zero carbs, calories, or sugars, caffeine, or gluten. My sister and I took the Never Hungover at the end of the night we decided to drink for my birthday as it suggests that you drink one for every 4 drinks you have. While it seemed to try and have a fruity taste, I felt as if it tasted very vitaminy and had a horrible aftertaste. However, we drank it anyway because if it worked, we were going to be happy about that. I honestly have to say while the taste wasn't absolutely terrible, I was not a fan. I did not notice any major difference the next day than I feel I would have from just drinking a bunch of water and taking an aspirin. Recommendation: I was not a fan especially at around $3 per bottle as the flavor wasn't exactly favorable nor were the results. It definitely didn't hurt though and it might just be me being a seasoned drinker.